Before the turn of the 20th century into the 21st century, a movement began. This movement called for a more user-centered approach, or also commonly referred to as human-centered, to designing products, software, digital interactions, and design concepts. It is rooted in the belief, which is by understanding human goals and behaviors; we can design concepts empathetic to the user – or humans. More than a decade later, these concepts are becoming increasingly important to marketing. Modern marketing, as it responds to the overwhelming tentacles of the exploding digital economy, now requires the important element of design thinking. With the rapid growth of content marketing, modern marketing CMO’s now have to think about creating as well as designing the digital interaction experiences surrounding content. The new digital economy is causing rapid shifts in buying behaviors, concepts of buying interactions, and business models. Globalization and new technologies are radically transforming industries and businesses. At the same time, buying behaviors are being upended every year. Our understanding of the term “buyer”, in the context of B2B, continues to change year after year. In essence, we are undergoing a digital transformation in industries, business models, and buying behaviors as the new forces of the digital economy reshape businesses. The new speed of business is increasing the risks of organizations being caught flat-footed as digital shifts are made. As a result, businesses are accelerating their efforts to understand the new modern buyer. As attempts are made to understand the new modern buyer, a critical factor is the understanding of reshaped behaviors driven by the forces of the digital economy. Understanding how buyers interact with people and businesses has become essential to modern marketing success. And – this is where a human-centered approach to modern marketing and content design can have a major impact. As the name implies, the core element of a human-centered approach is putting the human (customer and buyer) at the center of design and modern marketing. It involves incorporating understanding of human needs, goals, behaviors, and personality towards providing solutions, which help people to fulfill their needs and goals. The analysis tools of a human-centered approach are a resurgence of the essential tools often applied to human-centered design. These tools and analysis methods, which I have used throughout the past fifteen years, have been in existence for nearly twenty years but are now more important than ever. For modern marketing, the design of content and digital interaction experiences is the underpinnings of meeting the goals of the modern buyer. Behavioral Insight Research: With the impact on buying behaviors being significant, organizations today aspiring modern marketing prowess will need to engage in insight research. The purpose of this cornerstone to human-centered marketing is to gain deep insights into new behaviors influencing choices and decisions in a digital world. Personas: Serving as archetypal representations, personas are designed to serve as common views of users, customers, and buyers. They provide a human-centered face to the behaviors and goals of key stakeholder groups. Modern marketing must be able to make a distinction between target buyer profiling and personas conveying deep understanding of behaviors and goals influencing purchase decisions. While the term “buyer persona” has become more widespread in marketing, I still see the misfortune of this term being ill defined as a target profiling exercise fraught with pre-modern marketing language and terminology. Scenarios: A scenario is the story of your users, customers, and buyers from a “day-in-the-life” perspective. They represent how your personas face challenges and situations. Of importance is putting personas as the central characters to portray the contextual aspects of how they set out to accomplish goals. Scenarios have long been a staple of persona development since the mid-‘90’s. 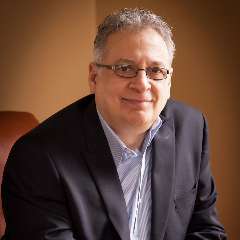 They are taking on added importance in modern marketing due to the need for understanding how the modern buyer is adopting new behaviors as a result of digital transformation. Users, customers, and buyers can be involved in multiple scenarios at any given time. Thus, thinking in terms of a singular problem will make your efforts blind to a true perspective of your buyer’s world. Mental Models: Mental Models are one of the most important concepts in human interaction analysis and have been essential to the construct of user and buyer personas. Mental models are attitudes, beliefs, perceptions, and imagery, which influence a person’s view of how they see the world. It is of considerable influence on purchase decisions. To understand the powerful influence of mental models takes qualitative research to help identify the gaps in the mind of users, customers, and buyers from beliefs and facts. The rise of the new digital economy has undoubtedly reshaped many attitudes, beliefs, perceptions, and mental imagery about how the world works. Organizations adopting a human-centered approach to modern marketing will need to make this element an important part of their efforts. Interaction Scenario Modeling: In the age of digital transformation and its impact on the modern buyer, interaction scenario modeling becomes critical. This modeling practice helps modern marketers to understand the activities, interactions, and complicated processes buyers are most likely to perform and desire. Given the rise of content consumption and new technologies, modeling current and future interaction scenarios provides direction on how to connect with users, customers, and buyers in a modern digital world. As the winds of change continue to accelerate in the new digital economy, B2B companies are faced with the challenge of how to understand the modern buyer of today. The question of how to connect with individual users, customers, and buyers will remain the supreme challenge. Gaining insight into this pressing challenge will require modern marketers to connect on a human level and to incorporate a human-centered approach. 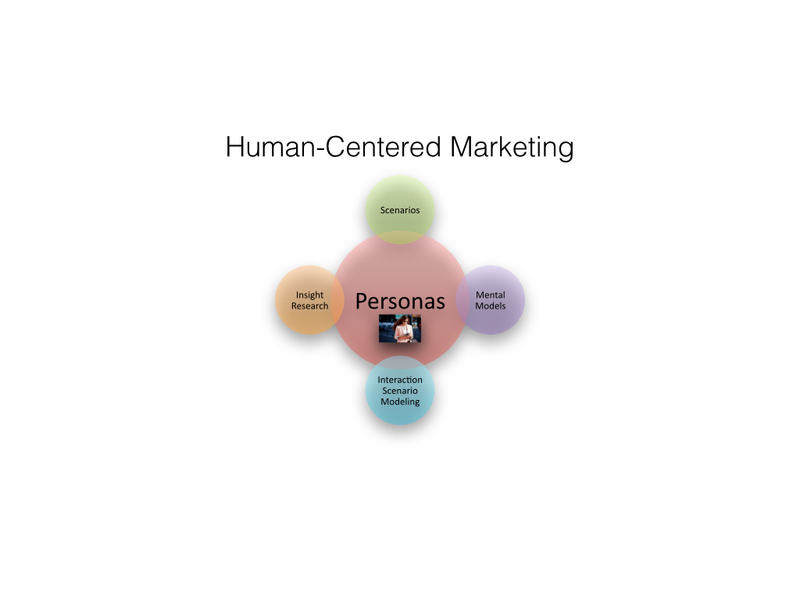 The concept of Human-Centered Marketing (#HCM) will take root strongly in modern marketing. Successful adoption of this approach as well as use of the tools and analysis methods will be the key competitive differentiator in the future. In this robust and lightning speed digital economy, succeeding will come from connecting with one human at a time and empowering users, customers, and buyers one fingertip touch at a time.